In the early twentieth century, reforestation was among the weapons used in the battle to eliminate malaria from Italy. Malaria was already diffuse in the Mediterranean region by the fifth century BC. In ancient Rome, the severity of the problem worsened towards the end of the Republican era with the arrival of Plasmodium falciparum (which causes the most severe form of the disease), probably from Africa. Climatic changes together with landscape degradation, deforestation and the abandonment of agricultural lands, provoked by war, led to the expansion of swamplands – favouring the diffusion of efficient vectors such as Anopheles labranchiae and the spread of the disease. Towards the end of the nineteenth century, more than one-third of the Italian population was affected by malaria. The first Italian medical bulletin, published in 1897, stated that 21 000 people died every year because of the disease. Although malaria was definitively eradicated from Italy in the 1950s with the introduction of DDT, this represented only the final stage in a long series of antimalarial interventions that had been undertaken since the end of the nineteenth century. These included not only public health interventions, but also socio-economic and environmental measures, including direct intervention in land settlement, water management, soil conservation, reforestation and dune stabilization. Between 1920 and 1940, the first laws on “integrated reclamation” (bonifica integrale) were introduced to encourage cultivation of the swamp areas to reduce the foci of mosquito reproduction. The concept of integrated reclamation as presented in the Forestry Law of 1923 involved land restoration, conservation and protection through hydrological management (including water supply and drainage systems), road construction, and reforestation of degraded lands, unstable slopes, grasslands and grazing lands. 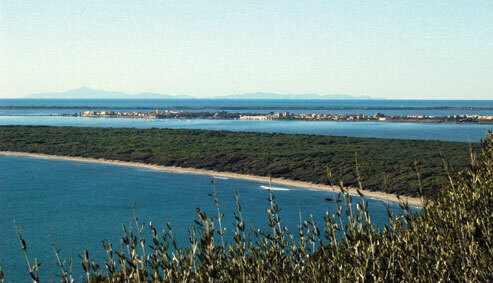 One of the best known examples of such integrated intervention in Italy is the Feniglia dune on the Tuscan coast. Beginning in the early 1800s, the area’s dense Mediterranean maquis had become severely degraded by human activities and grazing. The disappearance of the vegetation from the coastal land favoured the movement of sand towards the interior. This created a marsh that was extremely dangerous for the spread of malaria. The reforestation process initiated by the government in the early twentieth century involved the construction of a dam towards the sea, the placement of several rows of wattle fences to arrest the movement of the sand, and the planting of Pinus pinaster along the sea line and Pinus pinea on the inner part of the dune. The seedlings were protected by the planting of herbaceous species (Arundo arenacea, Ulix europaeus, Medicago marina, Euphorbia parialis and Cakile maritima). Today these woodlands are a forest reserve, important for amenity, recreation and nature conservation.